Tend to wake up with a sore neck? You’re definitely not alone. An increasing number of people complain that their sleep is affecting the way they feel during the day. Your sleeping habits and the lack of proper support during the night play a big role in this. If your days are consistently ruined by nagging pain, a very likely cause is the pillow you sleep on. Many of us consider pillows to be a purchase you don’t put much thought in. However, depending on your sleeping position, your pillow can have a huge impact on quality of sleep. Choosing the right pillow to support your neck and shoulders can help you wake up ready to take on the day’s challenges. 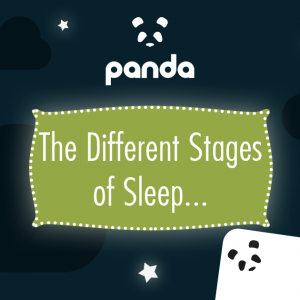 First things first – take a look at how you sleep at night. Do you tend to lie flat on your back or are you a side sleeper? Choosing the right pillow (and mattress, for that matter) depends on the amount of support your neck is currently getting. Many of us toss and turn during the night, waking up in a different position than the one we fell asleep in. Support and alignment are essential here, so try to get a versatile pillow that adapts to your body and takes the strain off the neck and shoulders. Memory foam is the material that is currently unsurpassed in this domain. One of the most common factors contributing to a poor night’s sleep is restlessness and movement. When moving during the night, typically we are trying to find the most comfortable position. It’s important to find a pillow which is able to keep you supported and comfortable throughout the night. One of the areas most affected by poor sleeping posture is your cervical spine. This is the part that connects the base of the skull with the upper back. If your cervical spine is under strain, it can cause you serious pain. Luckily, the aching stops on its own if you stop the overextension. But if you continue sleeping with poor neck-spine alignment, you won’t give your body a chance to recuperate. From the neck to the shoulders, the levator scapulae muscles can easily be overworked. If your pillow isn’t giving you the support necessary, you may experience stiffness and pain when moving your head to the sides. If your poor sleeping posture persists, you may even develop a pinched nerve in your upper back. It’s essential to consider how much you exert yourself during the night. It’s hard to change your sleeping habits. 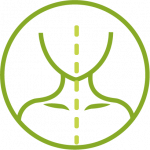 Improving your posture is extremely important to help prevent neck, shoulder, and back pain. An important thing to keep in mind is to give your new pillow time to get results. As with everything, try to reduce stress in your life, maintain good posture and minimize unhealthy habits. This will help you sleep better and relax more, giving your new pillow a chance to work its magic. Once you start enjoying the benefits of regular rejuvenating sleep, we’re sure you that you’ll appreciate a well-crafted, supportive pillow. Depending on your particular needs, your pillow-shopping can end up with you coming home with very different products. From comfort levels to shape and materials, the pillow shopping category is one that offers many options. The Panda Luxury Memory Foam Bamboo Pillow offers the perfect balance between both comfort and support. Using three layers of visco memory foam helps to properly support and align the neck and shoulders throughout the night. 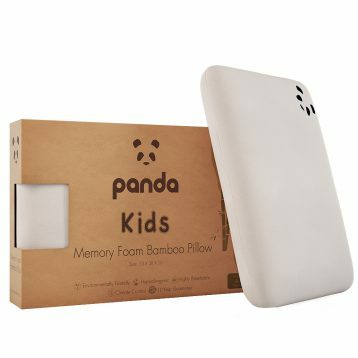 The Panda Memory Foam Bamboo Pillow adapts to the particular contours of whoever’s using it. 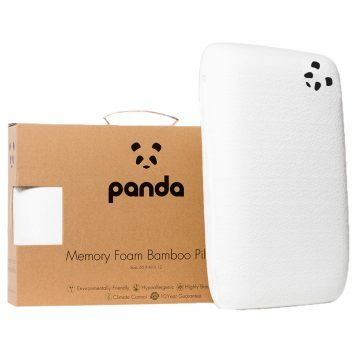 The luxury Panda memory foam bamboo pillow comes with a bamboo fibre cover that ensures softness and comfort. This means you’ll be kept cool in the summer and warm in the winter, while moisture and odour won’t stick to your pillow. The best part – the more you wash it, the softer it will get, counterbalancing the sturdiness of the pillow nicely. Bamboo viscose is naturally hypoallergenic, you won’t have to worry about irritation or discomfort. This makes it suitable for those who suffer from eczema, sensitive skin or hay fever caused by dust mites.